The powerful story found in Cross Roads inspired and encouraged readers around the world. Now, Cross Roads Refelctions provides an opportunity for you to revisit Tony and his redemption journey in a fresh and unique way. 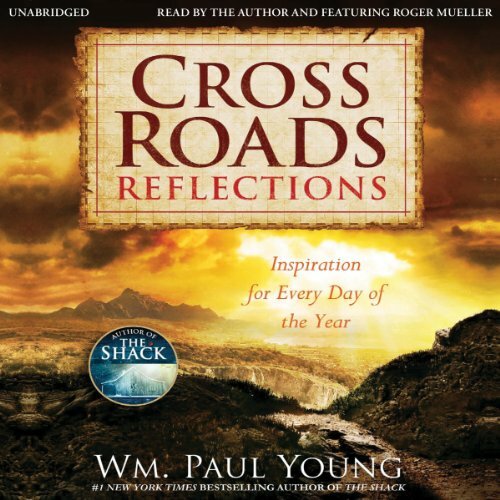 This 365-day devotional contains meaningful quotes from Cross Roads along with insightful and thought-provoking prayers written by the author, William Paul Young, who also wrote the phenomenal bestseller, The Shack. It is designed to inspire, encourage, and uplift you every day of the year. The author is literally rubbishing in a way were probably he thinks vagueness is clever or that we can magically birth meaning each depending on their interpretation to end up as a complete non sense. Please don't waste your time. I am trying hard to erase it from my history to forget how stupid a person can be.